Having lived in five cultures for at least five years in each, I am intrigued by water and how it is viewed different in each culture. In some cultures written history about water goes back to the 10th century, others not until the 16th or 17th century, and again others the culture goes way back but not much is written until the last few centuries. How water is viewed depends on geography, history, culture, politics and how much is known. There is a story for everyone, written in one drop of ink at a time. So it is with A DROP IN THE BUCKET. Blacksmithing may not interest you, but the underlying focus on craftsmanship is what attracts you. 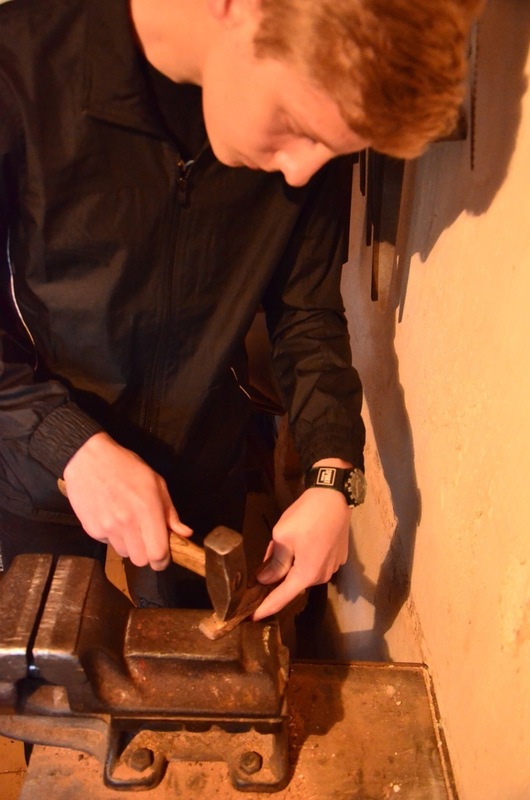 The blacksmith focusses on his work, hammers where it is needed, re-heats the iron to make it more plyable. You are fascinated by the work that goes into it. Compare that to going through e-mails. Anybody can do that. Everybody does that. How productive is it? No one really knows because there is no measurement tool. It is like an assembly line. Each time you run out of a part you are instructed to just go to the parking lot and get another piece. You have people going back and forth to the parking lot. It is a lot easier, than having someone figure out what is needed, how much, and by when. The latter is much more efficient, but takes deep thinking, or, as the author Cal Newport names his book: Deep Work. Train your brain to be bored, like when you are playing with the kids with LEGOS all the time. Instead, do you use that time to catch up on your e-mails…? Productive meditation is when you go for a walk and take a challenging math problem with you. When your mind wanders off, bring it back to the problem. Do this for a few months and you’ll get to the point where you can do a lot of mathematics on foot. Boring, but you train your mind and you become more efficient. My son would sit there, doing nothing, and his mother would ask: "Isn’t there something you can go and do?" “… but I am, I am thinking!”, he would reply. It even goes back further: My mother would get irritated when I tried to fix something and spend an hour or so on it, while it would have been a lot cheaper and easier to just get another one. “Why don’t you do something more meaningful?” I can still hear that ringing in my ears. Sometimes she would have a point, but now I realize that often it was my way of becoming proficient at a task. Going through emails can look good in that I get questions answered or meetings organized, but in the end it is not gratifying. Not as gratifying as watching a blacksmith at work. At the same time Deep Work can be boring in that you are not going to have some stimuli in your life for some period of time because you are concentrated on just one thing. If my mother would not have been nagging me, would I have become more proficient in some areas of my life? Having access to Facebook, your e-mails and other social media keeps you informed and up with your profession, right? It’s all lies. Press on, and commit to training your ability to focus. It has to be practiced. You need to fight and protect your time to support getting good at something valuable. It also reduces stress and helps you to understand a difficult piece better and quicker. Oh, and leave your phone in the car when you get home.